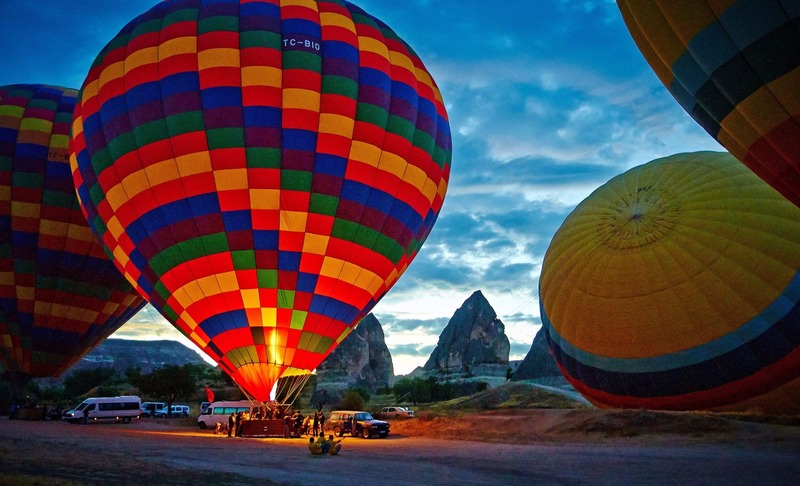 Cappadocia Balloon Bookings is an independent, online booking agency that was founded to provide you with a once in a lifetime experience. We offer the most competitive pricing (we are selling over 3000 pax annually), using companies that have exceptional safety records. We selected TripAdvisor -Excellent- certificated balloon operator with the most experienced pilots in region to maximize your enjoyment and satisfation. 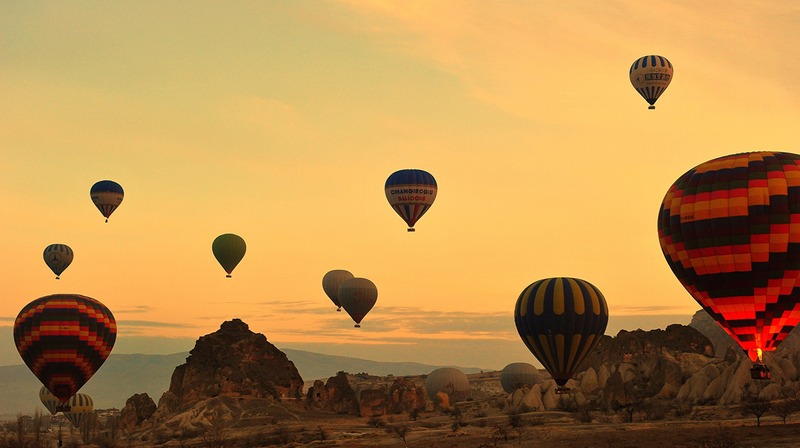 Reserving a balloon flight easy & fast with Cappadocia Balloon Bookings! 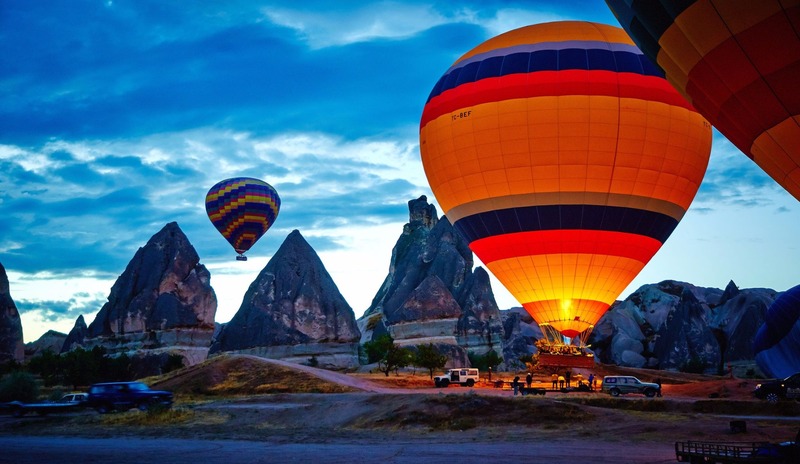 Realize your dream balloon flight over Cappadocia with us. The magically unique landscape of Cappadocia is like nothing you have ever seen. As the balloon slowly ascends at sunrise, the surreal lunar landscape that unfolds below will simply astound you. The balloon drifts silently and effortlessly through the valleys and over the famous fairy chimneys, vineyards, and orchards. The stunning colors of the rock formations will take your breath away. 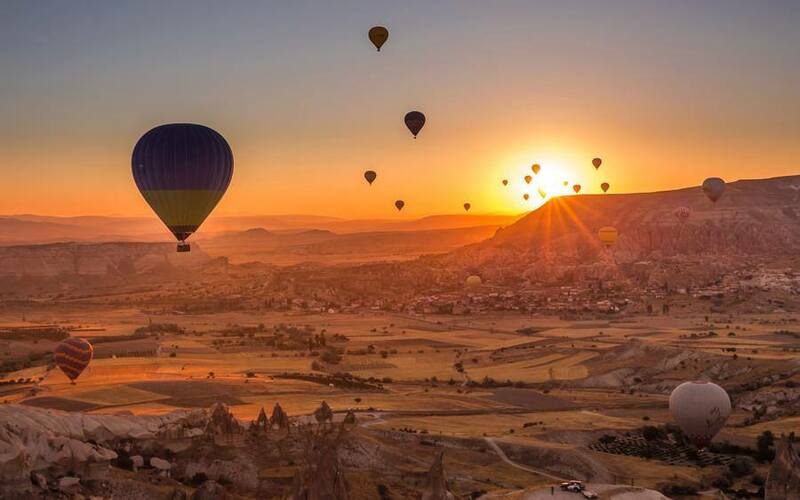 No matter how long you plan to stay in Cappadocia, hot air ballooning is a wholly unique experience not to be missed. Children aged 0-4 are not allowed to fly. To maximize everyone's safety and enjoyment, our pilots only fly with children who are old enough to understand a preflight briefing and tall enough to see over the side of the basket unaided by a parent or guardian (usually at least 5 years old). Parents and guardians should be mindful of flight times with small children who can get bored and restless standing in the balloon for an hour. No. If you are pregnant or think that you might be pregnant, you should not fly due to the possibility of a bumpy landing. However, if you have friends or family taking a flight with us, we are more than happy to take you to the launch site to see them off and to meet them at the landing site. Do balloon flights run year-round? Yes, we fly 12 months of the year. However, there is a greater possibility of cancellation due to inclement weather from October through March. How are balloon pilots licensed? The Federal Aviation Administration issues a Balloon Pilot Certificate to candidates who pass an FAA written examination, train a prescribed number of hours in a balloon, make a solo flight to altitude, pass a flight test, and submit a medical statement. Balloons are subject to regular air safety checks and are registered like any other aircraft. The FAA will not allow a balloon to be certified as airworthy unless these inspections and checks are conducted by authorized and certified maintenance personnel. How do I pay for my balloon flight? A deposit is due at booking, payable online by 3D Secure payment system. The balance must be paid in cash prior to the flight. We accept Euros, Turkish Lira, Pounds Sterling and US Dollars. Payment by credit card will incur an additional fee of 10 Euros. Balloons travel anywhere between 4 and 20 km, depending on the wind speed that day. How high up will we go? Most balloonists enjoy low-level flights over the Cappadocia region to witness the spectacular rock formations, valleys, and fairy chimneys. The typical balloon flight extends anywhere from tree level to roughly 1000 feet (300m) above the ground. Due to the popularity of balloon flights, we suggest booking in advance, especially if you want to fly on a particular date. From start to finish, your ballooning adventure will last about 3 hours. The preparation and inflation of the balloon normally takes about 30 minutes and is quite interesting to watch. The flight itself normally takes roughly one hour for standard flights and 90 minutes for deluxe flights. After the flight, the celebratory champagne and certificate of flight presentation takes about 30 minutes, and the return drive back to your hotel will take roughly another 30 minutes. The balloons carry sufficient fuel for a flight time of more than 2 hours, plus a reserve tank for an additional 30 minutes. How many people may fly in one basket? 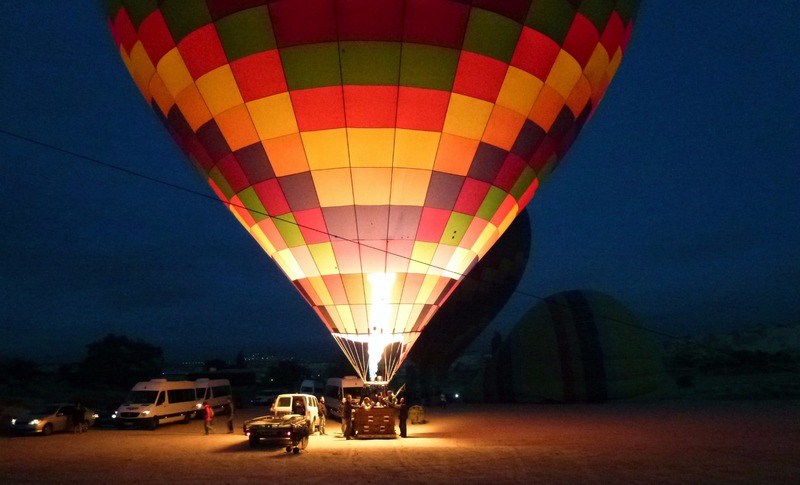 Hot air balloons come in varying sizes, with capacities ranging from 8 to 24 people. Prices also vary, depending on the capacity of the basket. Passengers stand in different compartments in the basket, enabling everyone to enjoy the spectacular views. Balloon volume, outside air temperature, altitude above sea level, and other variables all affect the flight. How will I get back to my hotel? The balloon will be followed by a chase vehicle, the ground crew, and the van that will transfer you back to your hotel. They are all in constant contact with the balloon pilot by radio and will be at the landing site when your balloon touches down. Once the balloon is packed away, and we have enjoyed a champagne toast, you will be driven back to your hotel in time to join any additional tours you may have booked for that day. What are the best conditions for a balloon flight? The balloons fly better in cooler weather, since the hot air gives it a better "lift." 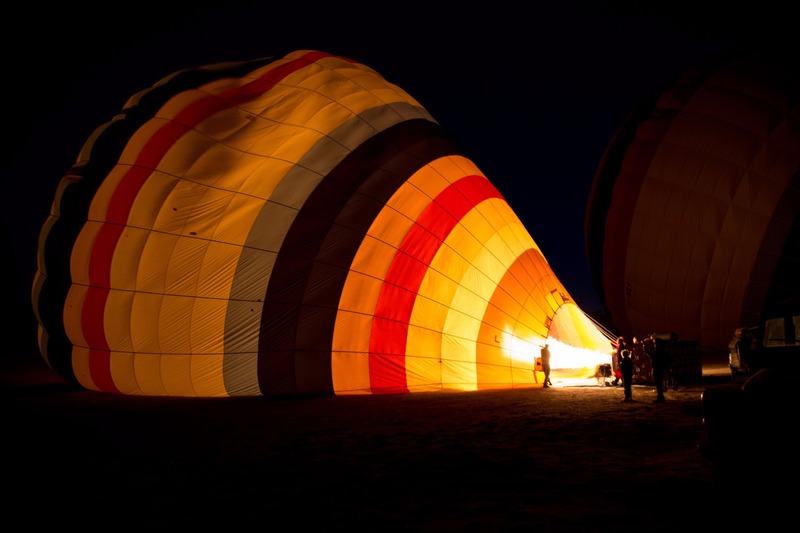 Balloonists usually fly just after dawn or before dusk because there is less wind. What if my flight is cancelled due to unforeseen weather conditions? If the weather does not permit flying, your flight may be delayed until the following morning. 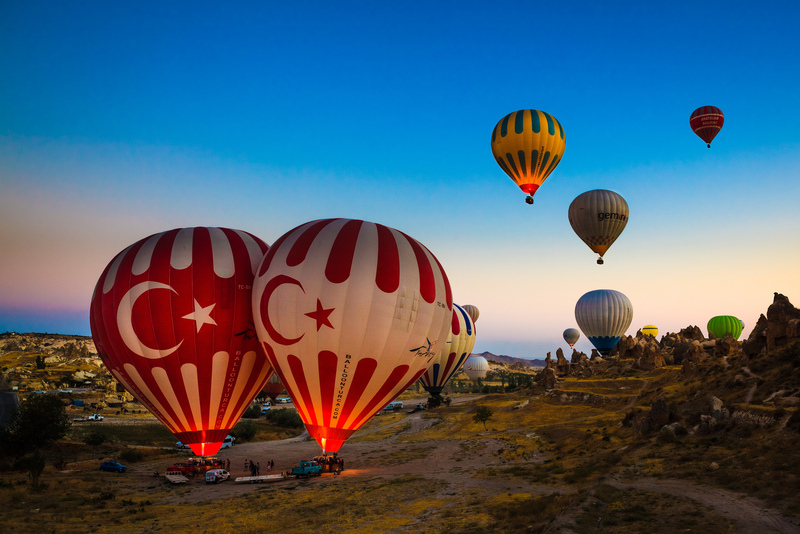 We therefore recommend that you book your flight for your first available morning in Cappadocia to avoid missing out on this unforgettable experience. If your flight is delayed or cancelled, and you are leaving the following morning, all payments made will be refunded in full. Tickets may be transferred to alternative dates and are valid for one year, subject to our cancellation policy. Bring your camera, video cam, or phone to capture the best views of the Cappadocian region. When do we meet for the flight? We will meet you at your hotel 30-60 minutes before your flight, depending on your hotel location. We will drive you to the launch site for a pre-flight buffet breakfast. When do you cancel a flight? Ballooning requires good weather. We do not fly in wind consistently above 11 kmph (7 mph), rain, snow, or fog. We also do not fly when thunderstorms threaten the area. Myriad other conditions can affect the decision to fly or not to fly, all of which will be duly considered by the pilot to ensure flight safety. The final decision regarding any flight rests with the pilot. If your scheduled flight is cancelled, the flight will be re-scheduled at no additional cost. If you are unable to re-schedule, all payments will be refunded in full. When will you let us know our pick-up time? We will either email you directly or contact your hotel with your precise pick-up time one day prior to your flight. Transfers between your hotel and the launch site are included if you are staying in any of our hotels in Avanos, Goreme, Mustafapasa, Nevsehir, Uchisar, or Urgup. Pick-up from Gamirasu, Kayseri, and other locations not named above can be arranged for an extra fee. The take-off sites vary from day to day, according to wind speeds and direction, thus allowing us to visit the most charming valleys and peaks of Cappadocia. Our balloons will land in any large area that is easily accessible, including parks, fields, school grounds, or alongside roads. Who can fly a balloon? Only pilots who are licensed by the FAA and have passed regular flight checks are allowed to conduct flights. Who controls ballooning and ensures safety standards? The Federal Aviation Administration controls ballooning with the same strict regulations that apply to airplanes. Will we land where the balloon launches? This only happens in very unique wind conditions. Most flights travel in one direction, with the wind, and then land in a large open area that is accessible by our ground crew. Will we take off before sunrise? We usually take off with the sun, the perfect time of day to take great photos and videos of the valleys and the lunar landscape and, of course, other balloons in the air. Some flights must take off after the sun rises due to weather conditions.